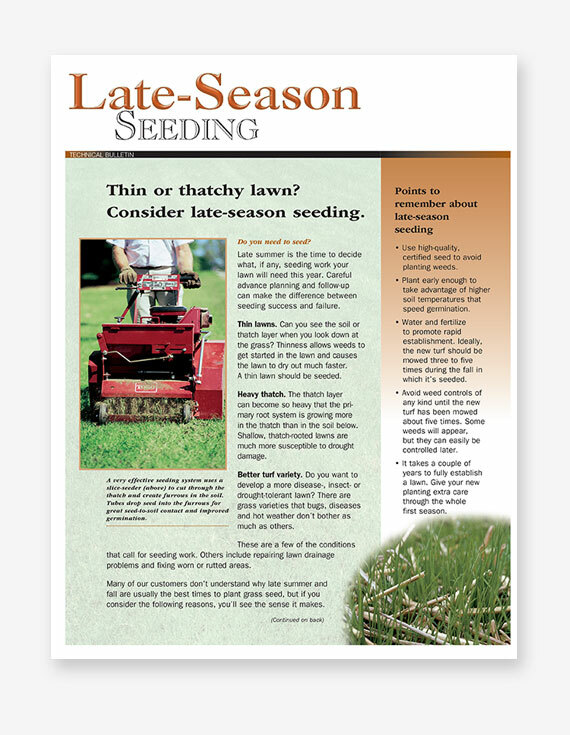 This bulletin helps to explain why lawn seeding is more effective in the fall than in the spring. 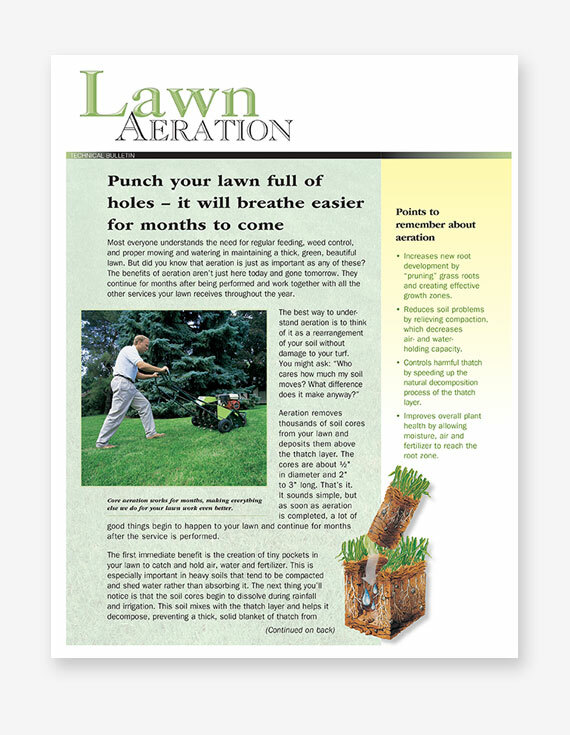 Use it to promote lawn renovations after a long, hot, dry summer. 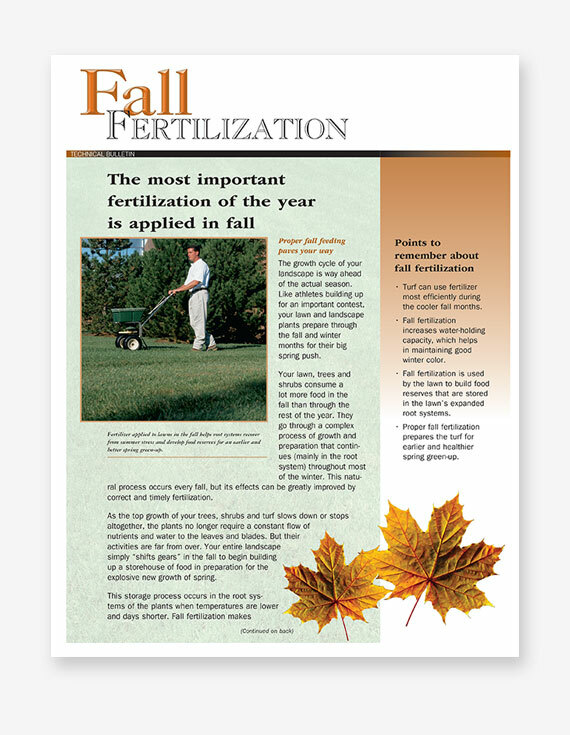 Looking for an easy way to sell fall fertilization of lawns, trees and shrubs? 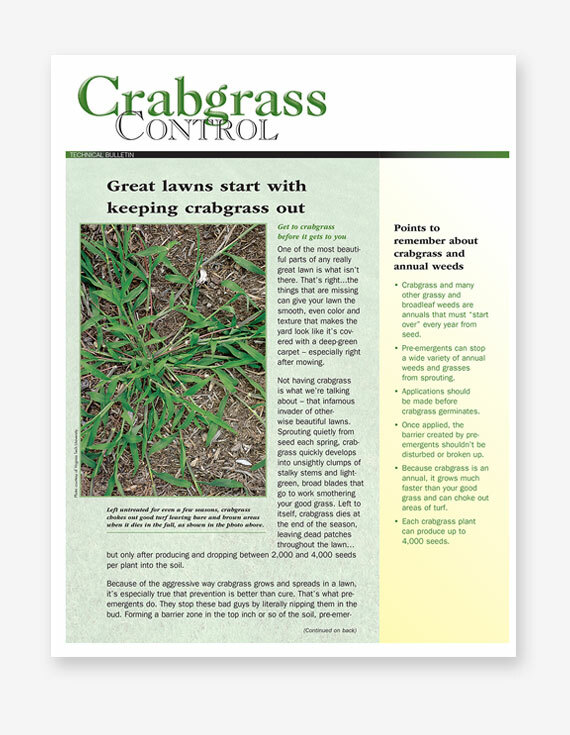 This bulletin does a great job of explaining why landscape plants in suburban soils need extra help getting the proper nutrients for healthy growth. 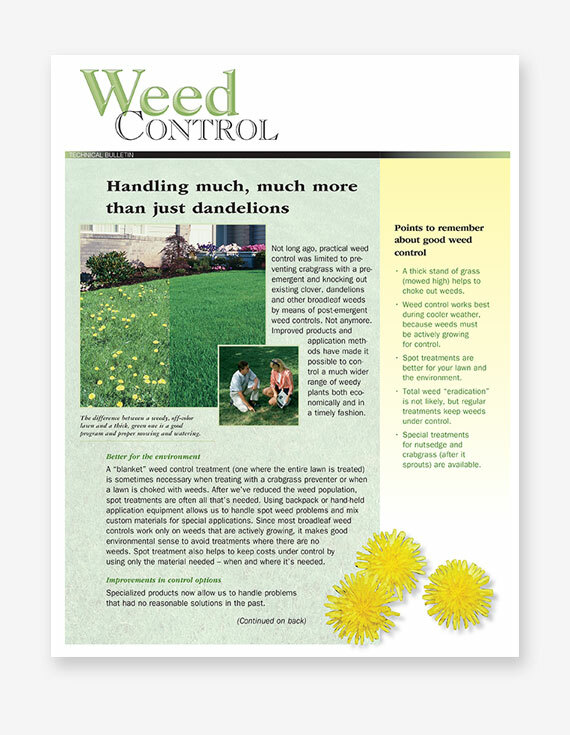 Do your customers realize how critical water is for the health of their lawns and landscape plants? 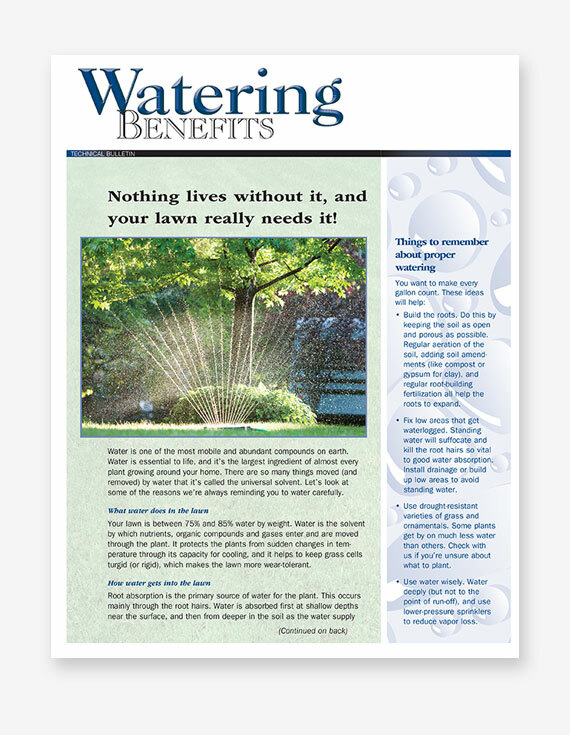 Use this bulletin to explain what water does, how it’s absorbed, and the different ways to deliver it effectively. 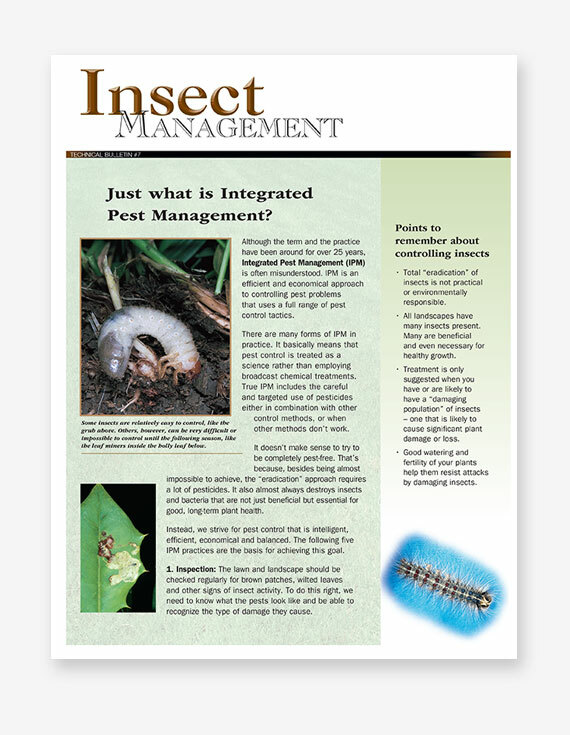 This bulletin discusses the various causes of plant diseases, how to identify them, and how to go about controlling them. 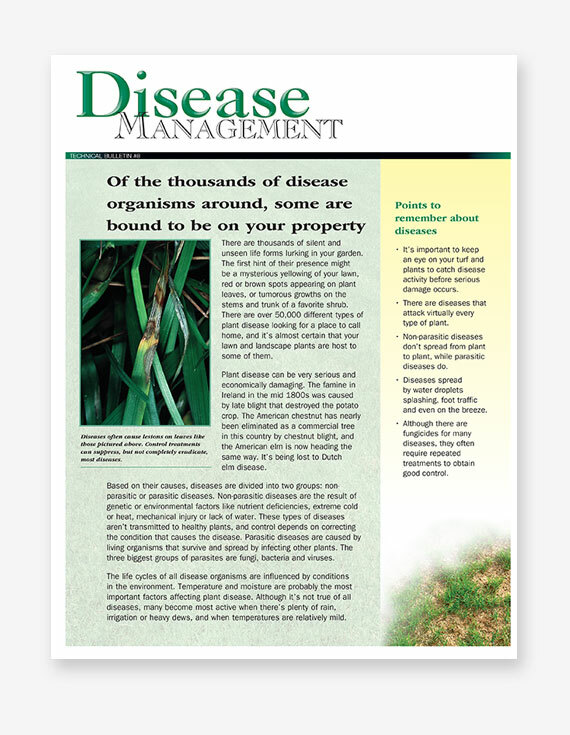 Use it to increase awareness among your customer base about the damage plant diseases can cause. 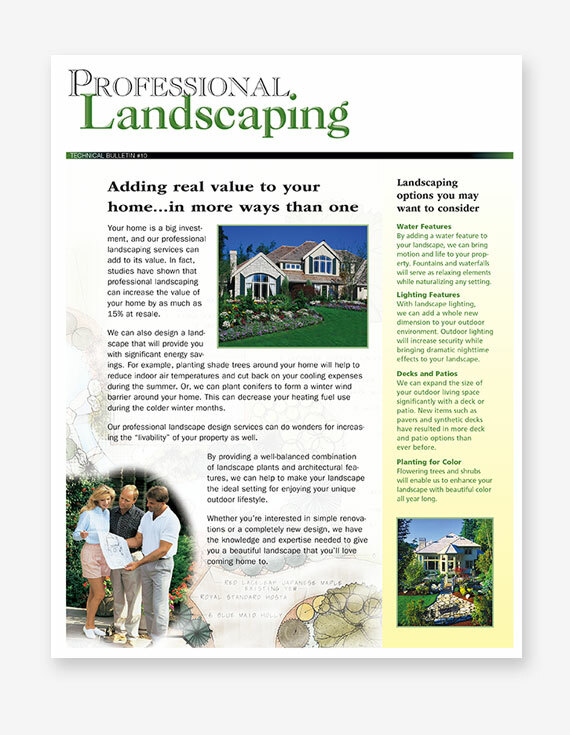 Show prospects what a difference your landscaping services can make in the looks and value of their homes. 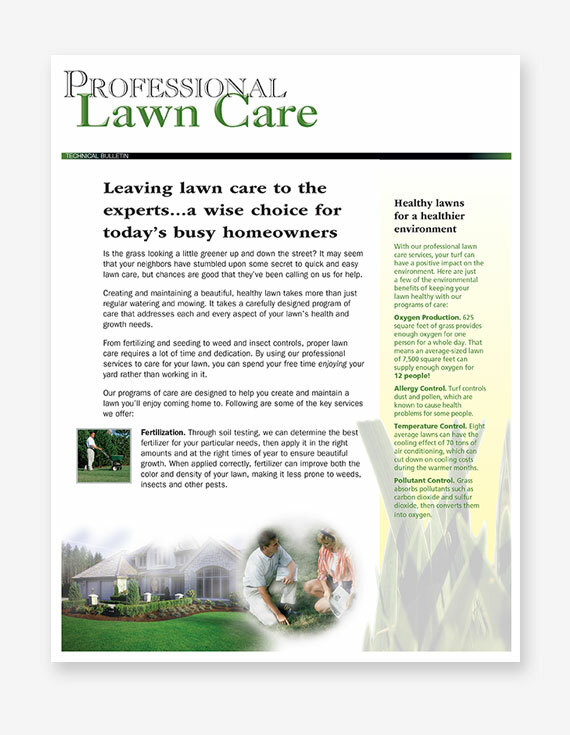 This bulletin explains the many benefits of professional landscaping, in addition to providing various ideas for property improvements.